Hello readers and good morning! Well, at least on my side of the world it’s morning. 🙂 Hope all of you are doing well! I’ve been sick off and on for the past month or so and I feel like this year, it’s been brutal. I think I’m battling allergies now and I just cannot wait until this is over with. Anyone else feel the same way? 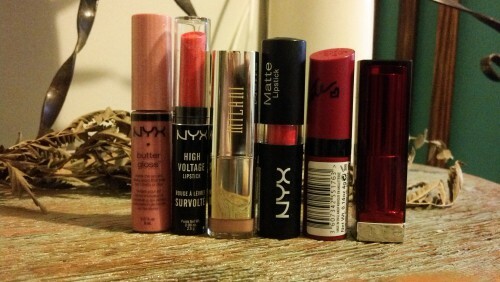 Bottom Line: I love these glosses alone or layered underneath lipstick. The scent isn’t over powering and in my opinion very comparable to some of MAC’s Cremesheen lipglosses at about half the cost. 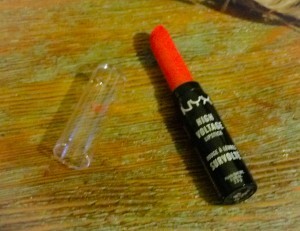 Described by NYX as amping “up your look with our High Voltage lipstick! Each of the 22 dramatic shades is infused with vibrant color with a super-rich finish! 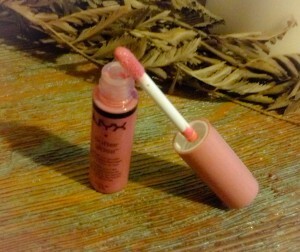 Bottom Line: A great item from NYX if you’re looking for excellent color payoff. Color begins to fade a bit while eating or drinking but leaves behind a good stain. 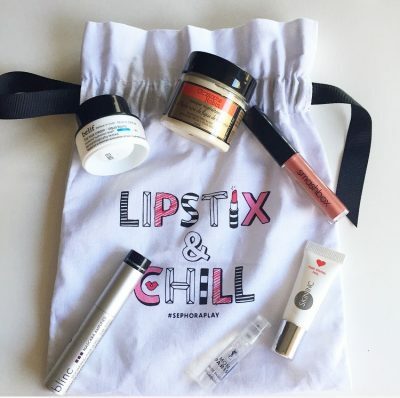 Exfoliating lips prior to use is a must though to avoid it clinging to any dry patches. Bottom Line: This shade looks best when paired with a lipgloss. 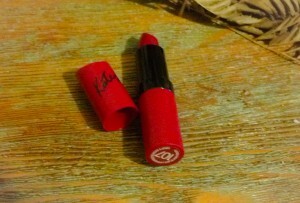 It lasts better than most lipsticks through drinking but I wouldn’t classify this is long-lasting. 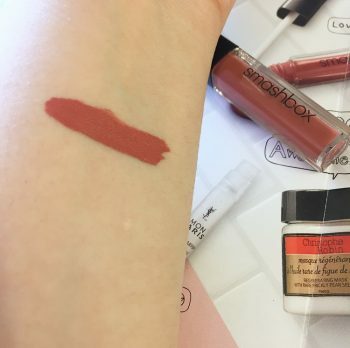 The texture is very unique and very similar (if not identical) to Maybelline Mattes. 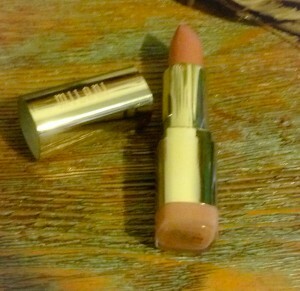 Feels creamy upon application instead of the usual dry texture most mattes have but not exactly moisturizing. Exfoliating lips is a must prior to use. Bottom Line: I bought this lipstick after seeing it on Janet from Jan and Jot and I am so glad I did. 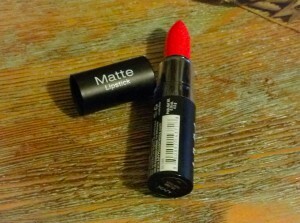 Not only is a gorgeous shade-perfect for spring and summer-but it is immensely pigmented and very long lasting. I do find this more on the drying side though, so sometimes I’ll sheer it out with lip balm underneath and make sure to exfoliate lips beforehand. 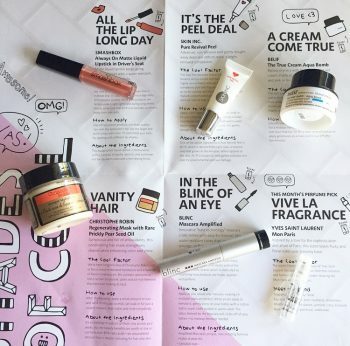 Bottom Line: Another product I bought after I saw it on Chanelle Hayley from Chanelle Hayleyyy . The color is beautiful and sophisticated and I love the staying power. I do not mind the scent at all, sort of floral mixed with berries, but it is strong and you can definitely smell it while you’re wearing it; it does fade after a while though. Bottom Line: I do like these but I will be honest and say I am not fond of the texture. 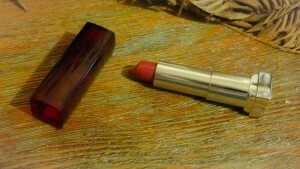 It feels a bit too waxy to me as opposed to creamy but using a lip balm underneath helps. Worn alone it has great staying power and there are so many shades to choose from. 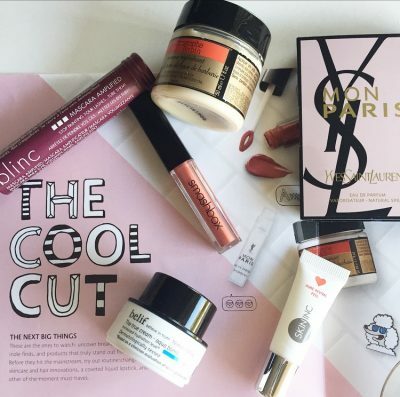 Thank you for reading and let me know what your favorite under $10 lipsticks/lipglosses are!